During 2018, Beech set up a fund called the 190 club aiming to attract 190 companies or individuals to donate £190 in return for being incorporated in a raffle every month for three prizes of £500, £300 and £200. Every single penny raised would go to Feeding Britain: a charity seeking to try and solve the problems of hunger, homelessness and cold in a constructive way. Along with many other important projects, Feeding Britain raise much-needed funds for people in the Wirral struggling to buy food and recently opened the Number 7 cafe and supermarket in Birkenhead. Frank Field is a massive supporter of this charity and its methods, as are all the members of the Mersey Maritime Group. It raised £18,220 in its first year and the Johnson Foundation amazingly stepped in and doubled that! This effort has resulted in Beech being shortlisted for the Positive Impact Award at the Mersey Maritime Business Awards 2019. If anyone reading this news item would like to join the 190 club, the new year has started and the draws commence in early February. Contact Chrisw@beech-group.co.uk for more information. 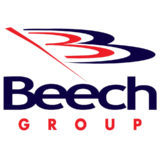 Founded in 1963 and based in The Foundry Business Center, Birkenhead, North West England, we at Beech Group are a leading multi-disciplinary company with a rich heritage in the construction sector. We offer a wide range of specialist services including demolition, asbestos removal, specialist cutting, engineering, remediation, insulation, training, site investigation and geo-environmental services.